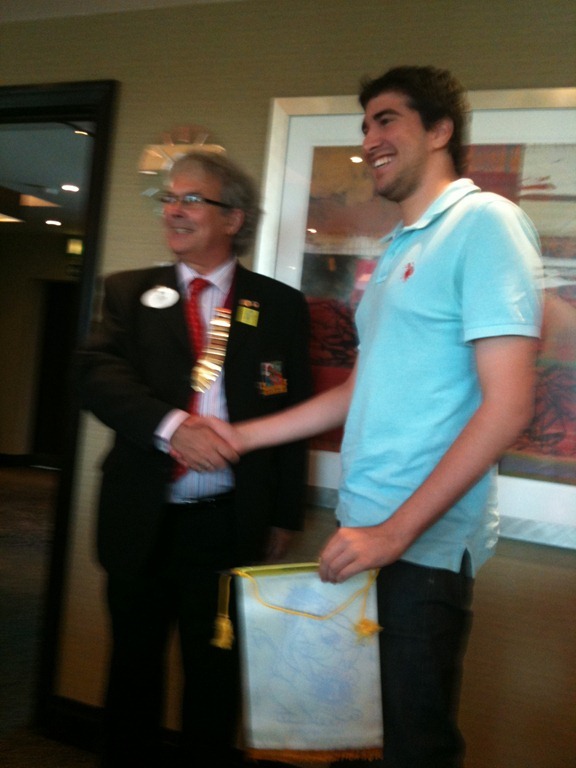 Sunday 24th July was the date for the District Changeover for my district, 105M. This is the event where we welcome our new District Governor and receive our various badges and chains of office as incoming district officers. 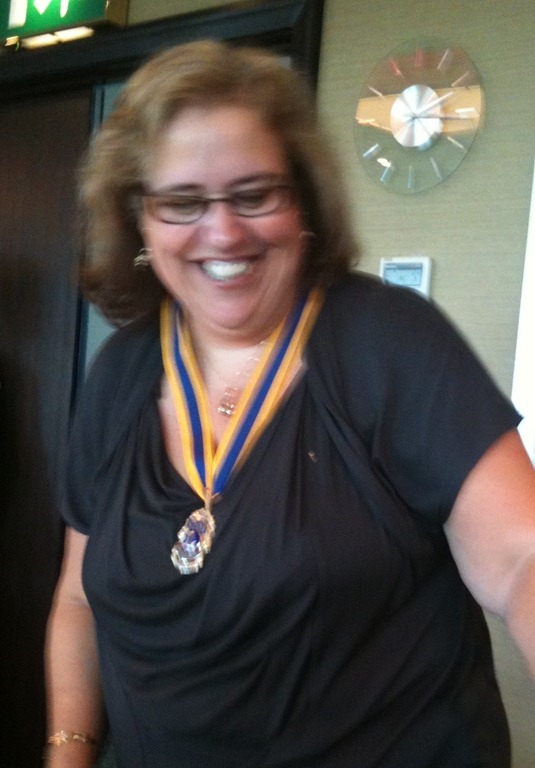 For me it is the official start of my three-year journey which will, hopefully take me to District Governor for 2013-14. 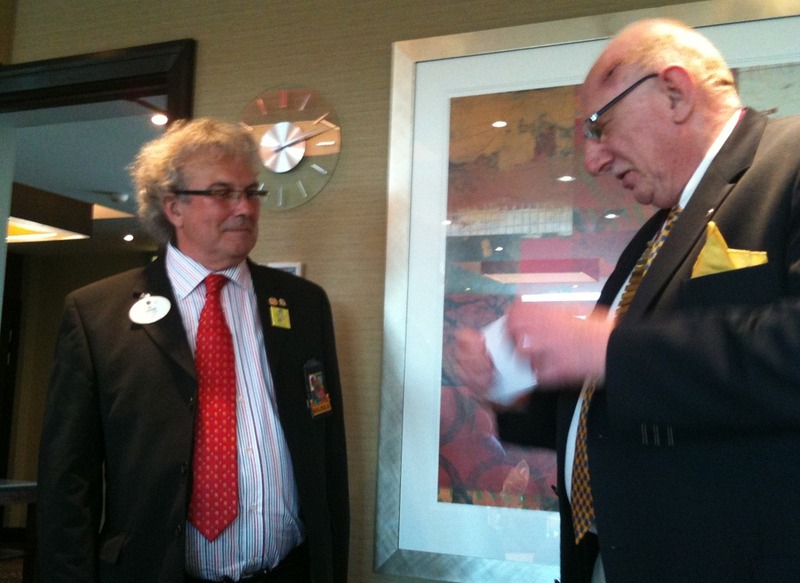 The event, at the Holiday Inn Birmingham Airport, started with an excellent meal before the ceremony commenced. 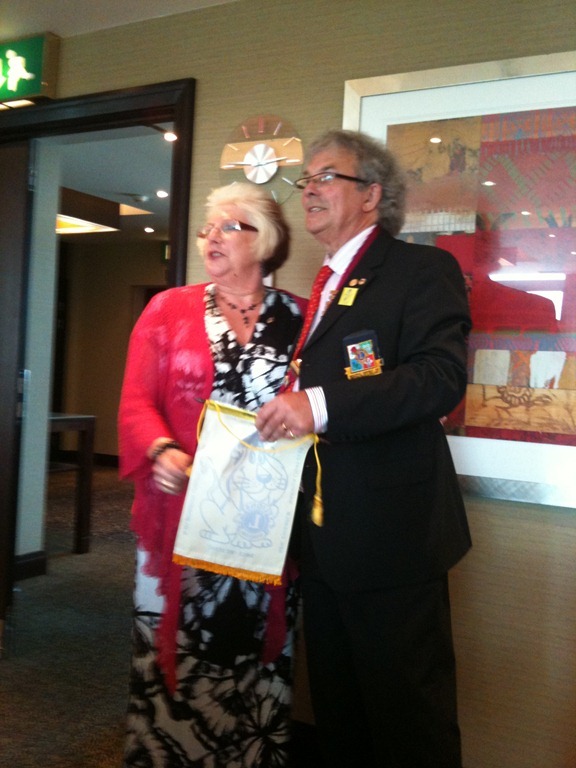 Immediate Past District Governor Martin said a few words and handed District Governor Neil his chain of office. Neil was now suitably attired to induct his Cabinet. The District Cabinet is the management committee of the district responsible for the administration of the district’s finances, planning for the future, ensuring good communication both internally and externally and encouraging clubs to support a wide range of service activities and projects. For the uninitiated it is probably worth taking some time to describe the roles in a bit more detail. 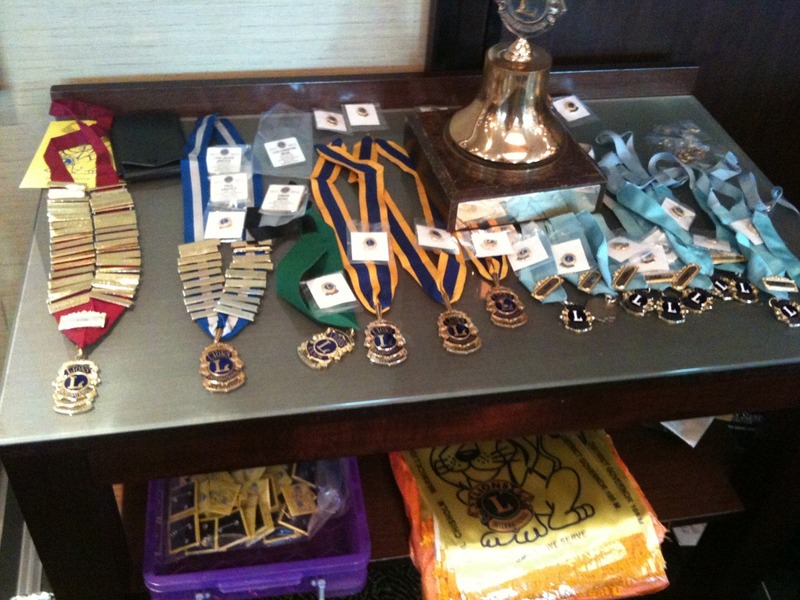 The cabinet is chaired by the District Governor and he has some key individuals to help him guide the district. There are two vice district governors who, together with the DG, form the DG’s Team. Additionally there is a cabinet secretary to keep the minutes and act as an extra pair of eyes and ears during debates. The district treasurer looks after the finances and keeping the whole thing running smoothly is the Sergeant at Arms, a sort of master of ceremonies. The District is divided into three regions each having three zones in turn having around seven clubs in each. 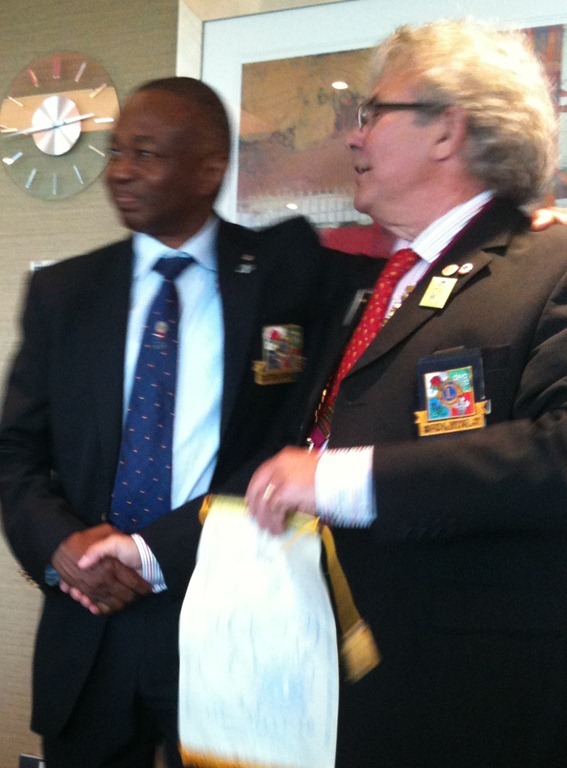 Providing the link between the clubs and the DG are the zone chairmen who visit each club twice a year as well as bringing all their clubs together for four zone meetings. They are guided in turn by the Region chairmen. Collectively the Region and Zone Chairmen form the DG’s Advisory Committee. Then we come to the various committees that make up the rest of the cabinet. The first of these is the Finance and Administration committee chaired by the first vice district governor. Also on this committee are the district secretary, district treasurer, nominations constitution and resolutions officer, events officer, health and safety officer, insurance officer and the second vice district governor. Next we have the Long Range Planning committee chaired by the second vice district governor (me). This committee includes the secretary, almoner, the immediate past district governor, the first vice district governor and, this year, the zone chairmen for zone’s B & I. We maintain the district’s rolling five-year plan. The final administrative committee is the communication committee. This year I am also chairing this committee with the role of district webmaster and IT Coordinator. I am joined by the district public relations officer, Midland News editor, DG’s Newsletter Editor, DG club visits officer and the Almoner. The cabinet then has three service committees with officers whose role is to promote a wide variety of Lions’ projects among the clubs. First there is the Health Committee with officers covering Sight, Speech and Hearing, Physical and Learning Difficulties, Diabetes and two Lions’ sponsored projects aimed to help get medical information to professionals, Message in a Bottle and Medic Alert. The second service committee is the Youth Committee which includes the following portfolios; Young Ambassadors in the 21st Century, Young Leaders in Service, Youth Football, Education & Life Skills, Special Olympics, Youth Camp, Youth Exchange, Cultural, Vulnerable Persons and District Competitions. The third and final committee is the International Committee and this encompasses International Relations, North Sea Lions, Lions Clubs International Foundation (LCIF), Water Projects and Street Children. As you can see there are a large number of different areas where Lions are involved and I will go into each in more detail in later posts. 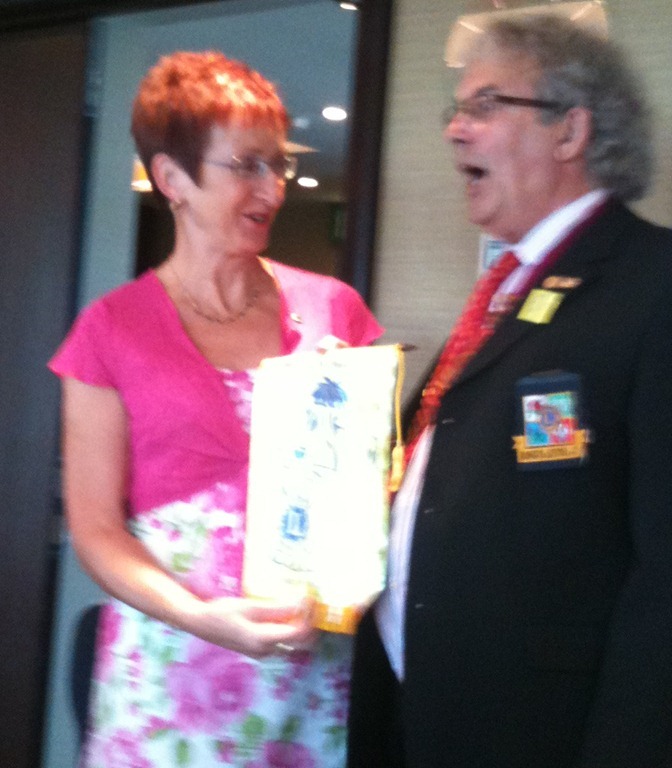 The changeover proceedings finished with DG Neil’s wife Beryl presenting details of this year’s partners project. 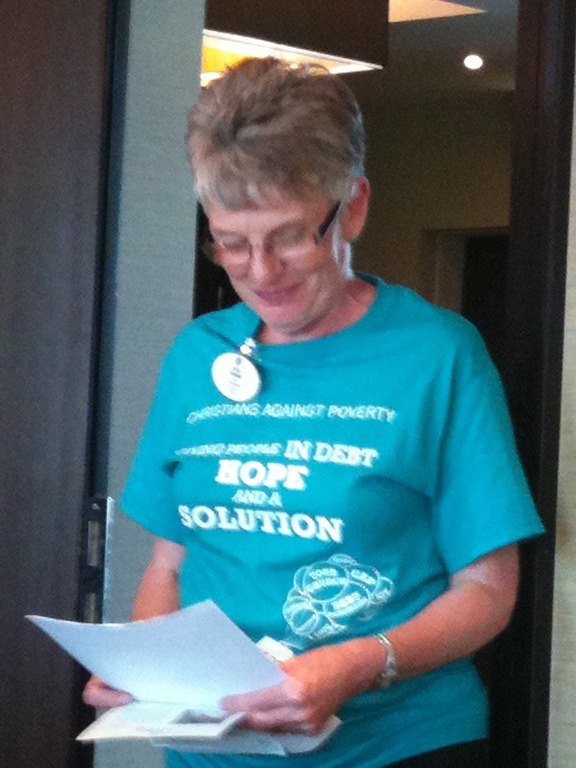 She has chosen Christians Against Poverty and wants clubs to provide practical and financial help for specific cases of debt where there is a genuine need. Debt often arises due to a change in circumstances such as divorce, death, illness or injury. CAP helps people to pay their way out of debt but also provides immediate support to provide food, clothing and other essentials. Lions Clubs are ideally placed to help in this effort. Well done Simon. An interesting and excellent article explaining how Lions works. Hope you and Christine have a great year.